Show your dad how much he means to you with this fun and colourful Father’s Day card from Happy Jackson. Featured against a bright red background are the words ‘A Great Big Happy Father’s Day to you!’ in the quirky Happy Jackson font in white. A yellow star is above the text confirming your dad as a top man. The cards design is completed with a thin white border surrounding the edge of the card. 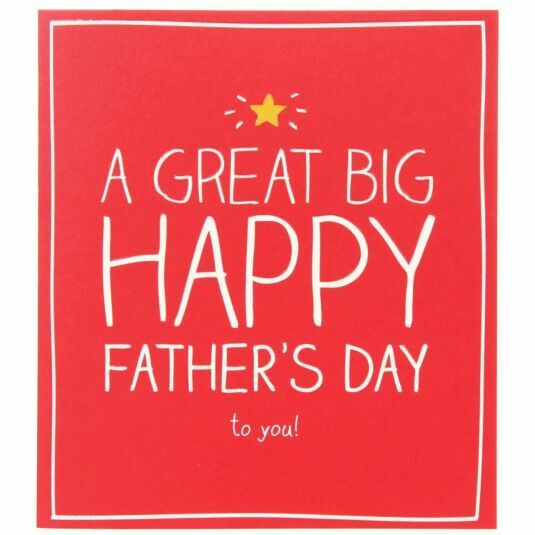 This is a fun card for all fathers and grandfathers. The card is blank inside for your own message and comes with a white envelope.